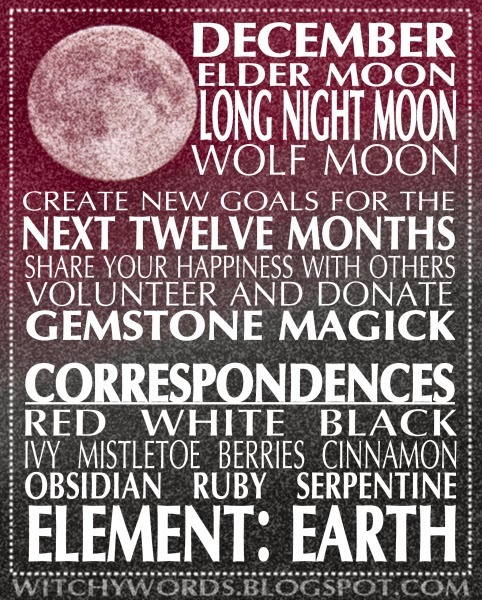 Information on the December full moon esbat. Enjoy! All these words are SOLAR not Lunar. Moon is black, void of light like the real moon, its not about exterior, nor the physical. Lunar is the mirror and intention (not goal, goal is solar).